The Disciplinary Board of the Confederation of African Football (CAF) has handed a lifetime ban to one Ghanaian assistant referee (David Laryea) and 10-year bans to seven others for their roles in a bribery scandal. 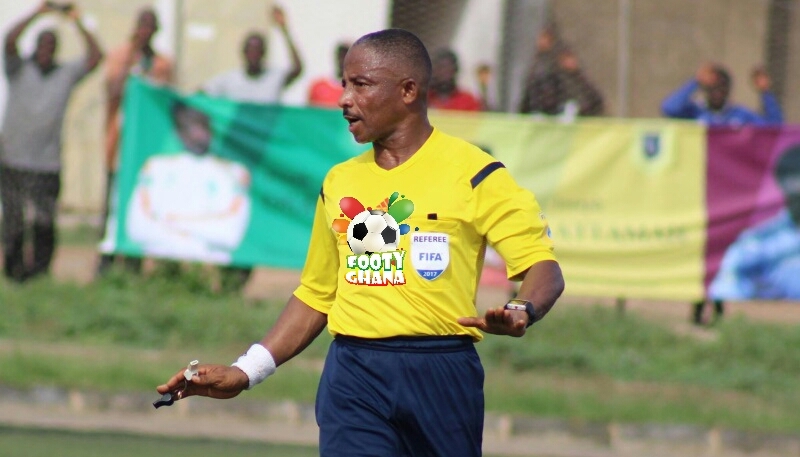 According to the statement released by the continental football body, Assistant Referee David Laryea, recipient of the life ban can no longer officiate CAF-sanctioned football matches while the others will be off the pitch for 10 years. The referees were among 74 Ghanaian referees implicated in a bribery scandal exposed by renowned Ghanaian undercover journalist Anas Aremeyaw Anas and his Tiger Eye Private Investigations team. Another decision also saw 14 others provisionally suspended pending their appearance in front of the next meeting of the Disciplinary Board. They include referees and assistant referees from Congo, Liberia, Ghana, Benin, Guinea, Guinea Bissau, Senegal and Madagascar. President of the Ghana Football Association, Kwesi Nyantakyi, was not left out in the explosive exposé as the football body’s chief was captured on tape taking $65,000 cash as a gift from a supposed “investor,” who turned out later to be agents of undercover journalist, Anas Aremeyaw Anas and his Tiger Eye PI team. He also apparently tried to profit personally from a $5 million-a-year, five-year sponsorship deal with the football association in what the expose said was a “clear breach” of ethics. Following the move, Ghana government has dissolved the Ghana Football Association (GFA) in a bid to sanitize football administration in the country. Note that Anas Aremeyaw Anas uses painstaking and life risking methods in unearthing corruption in the public sector in Ghana and Africa. Posted by Emmanuel Agbenonwossi on August 10, 2018. Filed under News. You can follow any responses to this entry through the RSS 2.0. Both comments and pings are currently closed.